Appearances might be deceptive, but some deceptions are really delicious! Grab Ghasitaram Dry fruit Apple that looks like an apple, but tastes like a dessert. With cashew nuts, sugar and silver foil, this delicacy can be found in every home on all festive occasions. Ghasitaram has hardly any account of letting anyone down. They have always provided the greatest sensory pleasures to sweet and namkeen lovers. 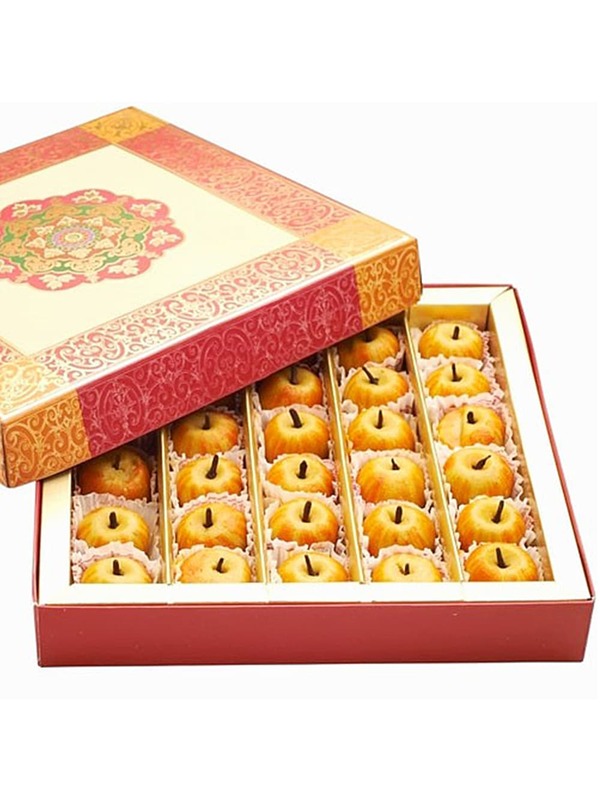 Buy Dry fruit Apple online at foodfeasta.com and ssavour the taste of life. Ingredients Cashew nut - Badam - Pista - Permitted colour - Sugar.